Critters Around Our Homes | GetLitt! Has anyone told you that a gecko can detach its tail? Or that some moths live only for a week or two? Or that some squirrels can fly? 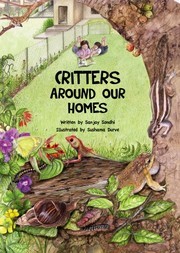 This book provides a peek into the lives of critters — or creatures — that we see in and around our homes.